Niklas Ekarv, Head of M2M, Asia Pacific, Vodafone, speaks on growth areas in the M2M space in Asia and beyond over the next few years, including the tracking of driver behaviour. What is M2M communication, and why is it set to be one of the major growth drivers for both wireless service providers and device manufacturers? Machine to machine (M2M) communication is made possible when a device (such as a sensor) is attached to a machine to capture an event that is relayed over a network, delivering data to applications. In today's economy where businesses are facing tough pressures to reduce spending and increase profits, the information and insights gathered can help make business processes and practices simpler, and more cost efficient. With access to near real-time data, it also provides more control to better manage costs. Vodafone Global M2M empowers organisations to transform their operations and businesses, providing the freedom to explore new market opportunities. Why is the tracking of driver behaviour the potential to be one of the biggest growth areas for M2M deployment? The automotive industry is highly competitive, and there is a constant need to reduce operating costs, improve efficiency and enhance customer service to continue to remain at the top. With an intelligent transport system provided through M2M, organisations are able to optimise the flow of vehicles, simplify management and ultimately, reduce cost and carbon footprint. Through data collected from vehicles on the road, value-added offerings such as usage-base insurance modes can be introduced. Cars, through the SIM card in each machine, are able to transmit information about the driver's behaviour, which in turn could benefit safe drivers through lower premiums. Earlier this year, Vodafone and Towers Watson, a global professional services company, entered into a strategic alliance to fast-track the development and introduction of telematics usage-based insurance offerings for motor insurance companies operating outside North America. Such information is also useful for car rental companies as well as owners of large vehicle fleets, who can leverage the information to make better decisions on rental rates for drivers. Despite the benefits, tracking of driver behaviour is a breach of privacy? What's your take on this? It is important that consumers who choose to use the service will opt-in to having real-time driving data used by the application. There are robust safeguards in place to protect the customers' data and anyone who signs up will be made fully aware of the associated privacy policies. 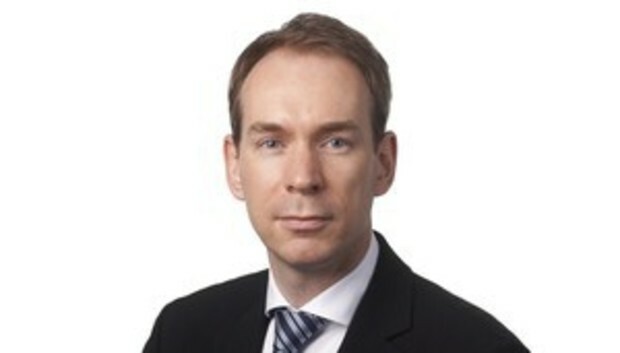 Vodafone is an industry leader in advocating and developing global privacy standards and was a key instigator behind the creation of the GSMA Mobile Privacy Principles. It also works with governments, NGOs and law enforcement agencies to ensure that legislation, regulations and industry practices achieve the balance required to ensure the protection of individual privacy and freedom with the need to ensure public safety. How do you see vehicle telematics applied in the context of Singapore? How can it help ease traffic congestion in a city like Singapore? By using M2M technology, a more dynamic real-time picture of traffic flow can be created. This kind of dynamic analysis can help in the implementation of a more proactive traffic management policy at critical times and locations. Compiling long term trends from the same data sources may help in understanding infrastructure improvement plans such as road widening or re-routing. What is Vodafone's play in the M2M space? At Vodafone, our vision is to connect every machine to transform the lives and businesses for the better. Bringing together our unrivalled capabilities - the world's biggest mobile network, outstanding customer experience as well as a long track record of success - we believe that we are well-positioned to help business unleash the transformative potential of M2M. We are focused on making M2M as simple and effective as possible for our customers, providing them with the visibility, control and understanding of their operations. We also have a long track record of success in delivering M2M projects, transforming operations and driving new business models. A recent example would be with Mahindra Reva, where the company recently launched its electric vehicle-the Mahindra e2o, a truly 'connected car'. Through their partnership with us, the e2o is the first and only Indian car, and among the few worldwide, to include telematics based features that allow for 'anytime, anywhere' connectivity between the car and its driver. How do you see the M2M space growing in the next 2-3 years? Is Asia lagging behind the West in this area? There is definitely a strong growth potential for the M2M space in the next few years. Global M2M cellular connections are expected to grow from 137 million today, to 521 million in 2017 (28 percent CAGR). In fact, Asia Pacific is expected to be the fastest growing and largest region, from 43 million today, to 203 million in 2017 (37 percent CAGR), as compared to Europe and America.